The Rubies is the new project from Kazuya (vocals/guitar) and Osuke (bass) from The Emeralds. They met their drummer Daisuke when they played with his band Clarabell at SXSW in 2005. The three of them formed The Rubies in 2009 along with Taro the tambourine man who they met at karaoke. All four members wear bright red pants. The band’s first performance was at SXSW in 2010 and they’ve become known for the crazed rock’n roll show. The Rubies will be returning to SXSW for Japan Nite in 2012. Fun fact: J-Rock Explosion turns 5 years old today! I didn’t plan anything special but here’s a new J-Rock Fridays. Second PV from Asparagus’ 5th album, which only took 5 years to come out. Good to have you back. There once was a band named Hystoic Vein who broke up in October last year when their vocalist decided to leave the band. Youkaku (guitar), Yukary (bass) and Lyn (drums) decided to continue on as a trio with Youkaku and Yukary splitting vocal duty. The band was reformed as ZZZ’s a month later. The girls will be coming to Austin this year for SXSW where they also played as Hystoic Vein in 2010 and 2011 and will also be joining the Japan Nite tour. ZZZ’s plays a mixture of post-punk and experimental rock. Not a huge difference from Hystoic Vein but different enough. They have uploaded three new demos on myspace. A lot of cool stuff for a warm February including new albums from Polysics, te’, L’arc~en~ciel, the telephones and Asparagus. Electronic act Jesse Ruins will be putting out their first EP on US label Captured Tracks as well. Don’t know what to get? The second volume in the Free Throw compilation series features 30 of the best indie acts in Japan. 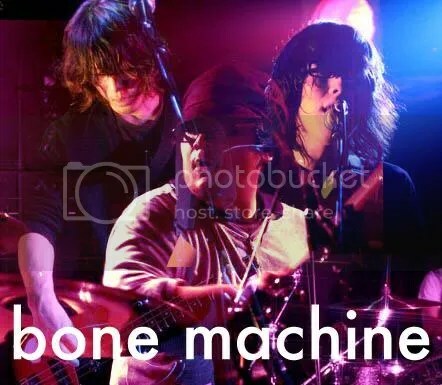 Bone machine is an alternative rock band from Kyoto. The band was formed in 2007 by Yuya Nakamura (vocals, guitar) and Jiro Fujita (bass) joined the band in 2008. They were a trio for a while until their drummer quit recently. They’re talking a break from performing until they find a new guy to play bones but are working on adding dance elements to their music. You can download a few demos and remixes at Sound Cloud while you wait. I’m a bad capsule fan. I was able to pick out Crystal Castles and M83 instantly while watching Chronicle, but my beloved capsule completely eluded me. It’s a good thing I sit through credits otherwise I would have never have seen capsule was included on the soundtrack. My guess is “Flash Back” played sometime during the rave or the after-the-magic-show party. In any case, the song is featured on the soundtrack for real and I’m counting this as capsule’s US debut. Last summer, Perfume’s “Polyrhythm” was featured in Pixar’s Cars 2, which was produced by Yasutaka Nakata. 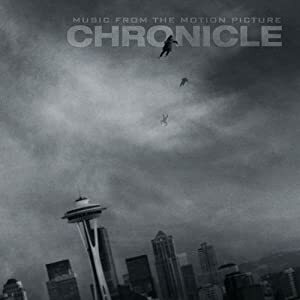 This makes “Flash Back” the second Yasutaka Nakata song to be featured in a Hollywood film in less than a year’s time. Keep them coming! Capsule’s 13th studio album Stereo Worxxx will be released March 7 in Japan. “Step On The Floor” leaked last and it’s a great return to form in the vein of “Love or Lies.” If you’re looking for a good movie to watch next weekend, Chronicle was great. Best superhero film since The Dark Knight. Slowly plowing through the year end lists, here’s our favorite collaborations and supergroups of 2011. After the natural disasters of 2011, it was cool to see all the “pray for Japan” benefit tracks and compilations that cropped up on the internet from all over the world. AA=AiD is a project led by Takeshi Ueda (AA=) that recorded this song to encourage reconstruction efforts. “We’re not alone” is a veritable who’s who of J-Rock and features Hayashi (Polysics), Shinichi Ubukata (Nothing’s Carved In Stone) and Akihiro Namba (Hi-STANDARD) among many others. You can download it for free here. Kenzi Masubuchi’s Punk Ska Unity did much the same but with even more punk/ska artists. 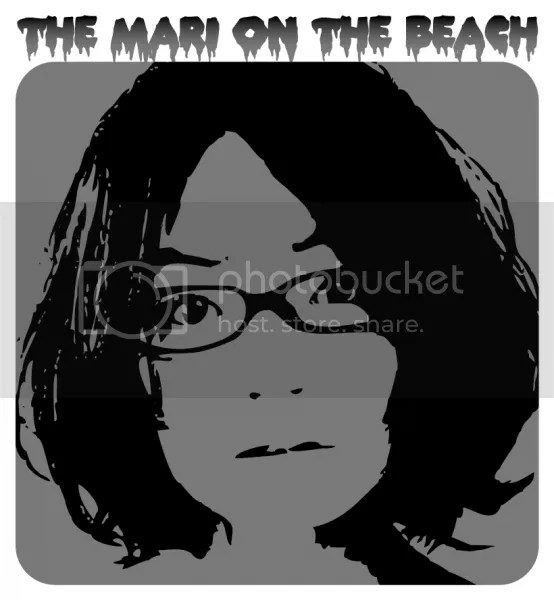 The Mari On The Beach is an alternative rock band that formed in the autumn of 2011. They got to writing songs fast uploading several free tracks on their bandcamp page by the end of the year. In January, they released their first album Get Out Of Making Music. Mari tried out a variety of different styles on this album including punk, twee pop, new wave and even samba. Get Out Of Making Music is available for purchase at bandcamp and CD Baby or for free at Soundcloud & last.fm. You are currently browsing the J-Rock Explosion blog archives for February, 2012.